Copyright infringement claims are challenging for an attorney to accept on contingency. Proving damages for copyright infringement can be a daunting task. That is one reason why the Copyright Act makes statutory damages available as an alternative to actual damages. When a lawyer takes a case on contingency he is investing his time, energy and resources in the copyright claim. Any investment by the lawyer is time and money he could be spending on other cases. Therefore, it’s not surprising that many of the determining factors for selecting a case revolve around potential financial recovery. There are several factors we look at when we evaluate a copyright infringement case to determine whether it is appropriate to take on a contingency basis. The value of the copyrighted work. The damages suffered by the copyright holder. The identity of the infringer and profits the infringer received from the infringement. The extent and willfulness of the infringement. Whether a copyright was registered before the infringement or within 3 months of first publication. Defenses to infringement like fair use, statute of limitations, or DMCA safe harbor. 1. The value of the copyrighted work. 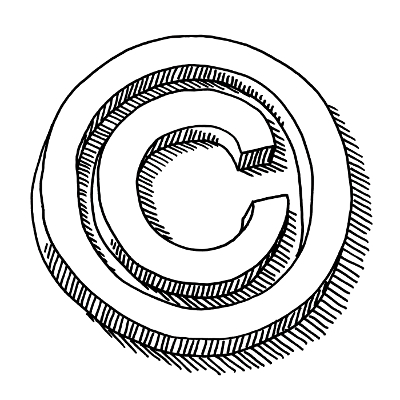 Copyright holders use their creative mental energy to create art, photographs, film, video, illustrations, literature, journalism, software and other copyrightable works. It is natural for those blessed with creative skills to be protective of their works and value them highly. However, placing an actual value on creative works is often difficult or even impossible. The aim of an infringement lawsuit can be to stop the infringement, recover money, or both. For an infringement suit to make sense to take on contingency there must be a monetary recovery. Like you, we need to earn a living. Without a financial recovery at the end of the case it does not make sense for us to take a copyright case on contingency. 2. The damages suffered by the copyright holder. There are many ways to measure damages for infringement. Sometimes copyright owners are deprived of income or royalties when their works are stolen and used without authorization. We will analyze your claims for financial recovery to determine whether they will be recognized by a court or jury. If the damages are significant enough, that will influence whether we decide to accept the case. 3. The profits received from the infringement by the infringer. The copyright act permits a plaintiff to recover any money earned by the infringer from the infringement as part of the copyright holder’s damages. We look at business earned by the infringer from exploiting your copyrights. In addition, we try to determine as best we can whether the defendant will be able to pay a judgment for damages. Sometimes, the infringer may even have insurance available to pay a copyright infringement claim. 4. The extent and willfulness of the infringement. Depending upon the copyrighted work at issue, making a single copy of a work may not be significant enough to warrant a lawsuit. That does not mean that the infringement doesn’t matter, it does. It just may not make economic sense to pursue a claim. Similarly, whether the infringement was innocent or malicious can be an important factor, especially when statutory damages are available. An award of statutory damages where the infringement was willful can be up to five times that of a statutory damages award where the infringement was innocent. 5. Whether a copyright was registered before the infringement or within 3 months of first publication. Because proving damages for infringement is often difficult, whether statutory damages and an award of attorneys’ fees are available can often be the deciding factor on whether an infringement case can be a contingency case. In order to recover statutory damages and attorneys’ fees, the copyright must be registered with the Register of Copyrights prior to the infringement or within three months of first publication. The same rule applies to foreign works even though registration is not required to file suit in the US for infringement. So register your copyrights! 6. Defenses to infringement like fair use, statute of limitations, or DMCA safe harbor. Depending upon the work, the allegedly infringing use, and the alleged infringer, what you think is infringement may not be. Fair use is codified in the Copyright Act and can be a bar to an infringement suit. Furthermore, the statute of limitations for infringement is three years from the date of discovery. So act promptly! Other defenses, like whether the defendant is entitled to the benefit of the DMCA safe harbor provisions, must also be evaluated. When an experienced copyright infringement lawyer agrees to take your case on a contingent fee basis, it means that the lawyer believes in the strength of your case. Unlike hourly-billing cases, contingency cases must have a strong chance of winning and recovering for a contingent fee to make sense. Our firm may have more one or more infringement cases at the trial or appellate level at any time. Accordingly, this should not be construed as applicable to any of the firm’s pending cases.